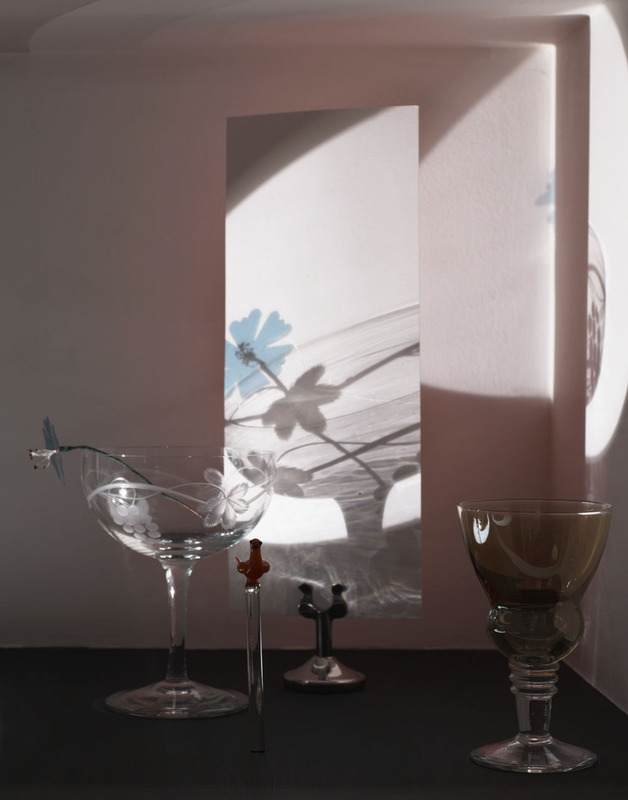 Many of the works in this show continue Helen Maurer's interest in combining light and glass to create shadows and images that change the reading of the original source. Mundane objects, glass, light and turntables are used in these kinetic installations that manipulate the space they inhabit, distort scale and disorient viewers. They rotate, they loop and absorb our sense of time. Grey Gardens references a domestic display cabinet housing etched drinking glasses. A light from above illuminates a central mirror that rotates around the box, casting a circle of reflected light through the glass objects, animating the shadows on the walls of the cabinet. The shadows here have the qualities of a pencil drawing. Glass Fountain and Rib are drinking glasses placed on small revolving turn-tables that are lit to produce moving ‘light drawings’ on the wall, reminiscent of water, smoke and biological specimens. These are then filmed and projected, their shift in scale changing their reading and associations. Upstream is a collection of short films. 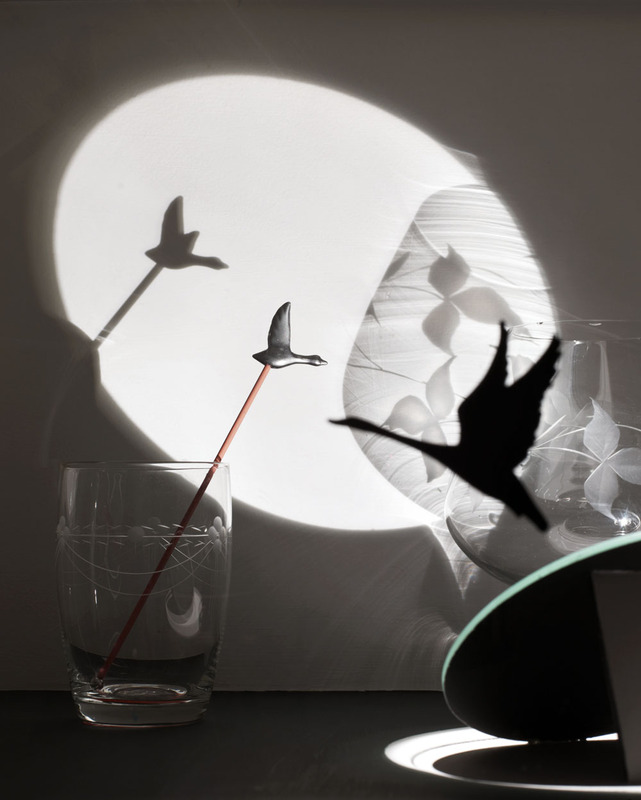 Glass passes across solid objects to animate them. They are filmed melting into their surroundings and appear to be sucked back into the frame. The textured ridges create a rhythm and flow to the loops, often suggestive of water or more abstract landscapes. Maurer was born in Portsmouth. She studied Fine Art and Theatre at Brighton University, before completing a PG. diploma in fine art glass at Central School and an MA in Glass at The Royal College of Art. She has exhibited internationally and collaborated on a number of joint projects with other artists, choreographers and musicians. 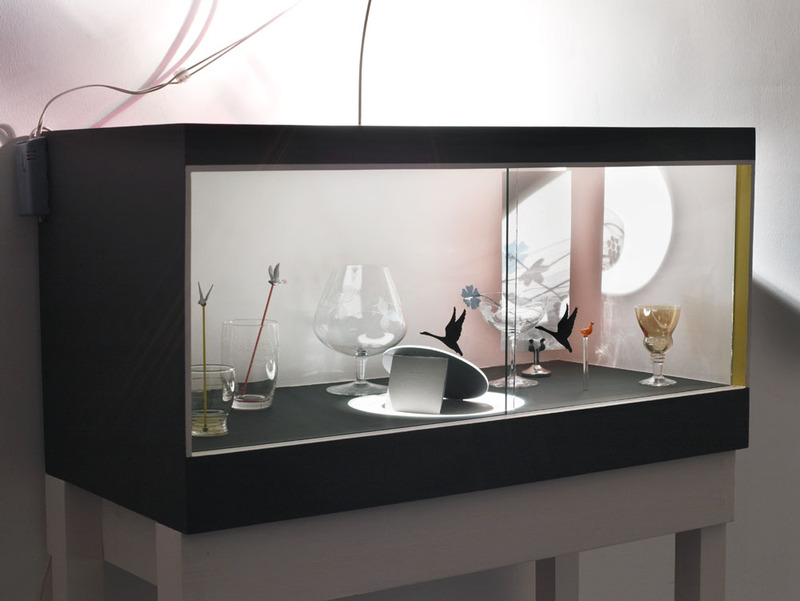 Maurer was awarded The Jerwood Prize for Glass in 2003 for her unique approach to glass.